Finding yourself endlessly searching for “Ford Dealerships Near Me?” in an effort to locate the best Ford dealer? Well with Vogler Ford, you can bring your dealership search to a close. Located in Carbondale, Illinois, Vogler Ford is dedicated to providing unmatched service to its new and loyal customers. From our many financing options and reputable Service Center to our extensive Ford inventory and friendly sales staff, you won’t find better service than Vogler Ford. In fact as the local Ford dealership near you, we aim to be your one-stop shop for your every automotive need. Below we’ll highlight just a few of the many benefits you’ll experience when you decide to purchase your next new, used, or certified pre-owned vehicle from Vogler Ford, the best Ford dealership near you. As soon as you step into Vogler Ford you’ll be greeted by a member of our knowledgeable sales staff. Each member of our sales staff receives rigorous training in everything Ford, including updates on new models and the used models that enter our lot. While the sales staff of Vogler Ford is likely to be able to answer any question that you may have, they are also provided with every resource possible in the event that they are unsure of any inquiry. At Vogler Ford, we care about you and your automotive needs. For this reason, the sales staff provided to you will take the time to listen to your concerns, questions, budget, and lifestyle, in an effort to help you find the perfect vehicle. Whether you’re completely unsure which Ford models you’re interested in or are dead set on one specific model, we’ll help you find what you’re looking for in our extensive inventory. The Finance Center at Vogler Ford is dedicated to securing you the auto loan or lease that best suits your budget, needs, and lifestyle. From bad credit to perfect credit, we are able to provide financing for all types of situations. Our Finance Center is full of experienced, knowledgeable, and incredibly resourceful staff members. We have the connections and determination to find you the financing you need to drive off the lot in your new car today. If anything, feel free to utilize these tools to ease your worry about securing financing for your next vehicle. Whether you’re looking for a loan for a new, used, or certified pre-owned car, or are even interested in a leasing program, we are glad to accommodate you and get you on the road with your new Ford. At Vogler Ford, we are proud to say that our service center is state of the art and our technicians are highly skilled and trained. When it comes to Ford vehicles, we are experts. We are able to quickly diagnose your vehicle and repair the problem using high-quality Ford factory parts in an efficient and timely manner. However, the Service Center at Vogler Ford is also happy to service your vehicle with regular maintenance to prevent any possible issues with your vehicle. The technicians at our Service Center will gladly work with you to develop a personalized maintenance schedule for your vehicle. In an effort to save you money, we offer competitive pricing on all our services as well as Service Coupons located on our website. When it comes time to service your Ford, simply peruse our available coupons, print one out, and bring it with you to the Service Center! 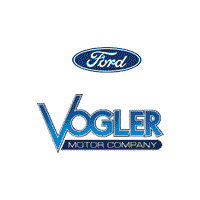 At Vogler Ford, we maintain convenient and flexible hours for our customers. This is true for both our showroom and service center. Want to visit our showroom after work or over the weekend? No problem! During the week our inventory is open for viewing until 6 pm and 8am-4pm every Saturday. Meanwhile, our Service Center is open Monday-Friday from 7am-5: 30 pm to take care of your every automotive need. This is just one way we strive to make our dealership convenient and customer-centric. 2018 Ford Focus: The Focus is a surprisingly powerful and versatile compact car that has been popular among Ford drivers throughout its three generations. This 2018 sedan gets an amazing 30 mpg in the city and 40 mpg on the highway. 2018 Ford Explorer: The Ford Explorer is the perfect family vehicle for those looking for power, space, and convenience. Many consumers find that this SUV is the ideal size, smaller than Ford’s massive Expedition but larger than small SUVs like the newly released EcoSport. This powerful midsize SUV offers up to 5,000 lbs of towing capacity powered by powertrain configurations that produce up to 365 hp and 350 lb-ft torque. 2018 Ford F-150: Looking for the ultimate in both capability and technology, the iconic Ford F-150 has you covered. Producing up to 450 hp and 510 lb-ft torque, with a maximum towing capacity of 8,000 lbs, the 2018 Ford F-150 can tackle all of your needs for work or play. Ford F-150: As we mentioned above, the Ford F-150 is both powerful and iconic. In fact, it has earned its icon status due to its decades of unmatched power and performance. 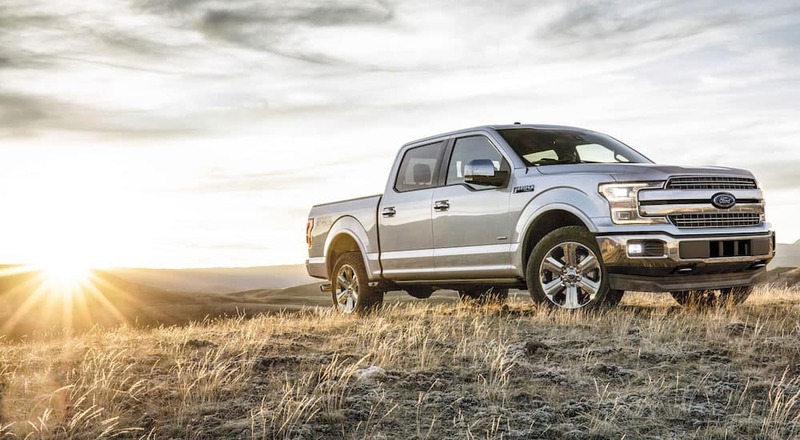 This ensures that even used models of the F-150 will provide all the capability you need, which is part of the reason it is such a popular used vehicle among consumers. Ford Explorer: The Explorer has been around for decades, and is currently in its fifth generation. Over the years it has proven to be one of the most reliable SUVs on the market, steadily performing at the top of its class with each new model. A used Ford Explorer is sure to last for many more years to come while providing everything you need for capability, space, and comfort. Ford Escape: This compact crossover SUV has been sold since 2000 and is currently in its third generation. Today, the most popular used Ford Escapes are within the second and third generations of this Ford model, spanning from 2008-present. This compact SUV has proven itself to be incredibly fuel efficient, versatile, and intuitive. Even used models of the Ford Escape can be found with advanced safety and entertainment technology, alongside all of the convenience features drivers want in an SUV. Searching “Ford Dealerships Near Me” – Choose Vogler Ford Today!